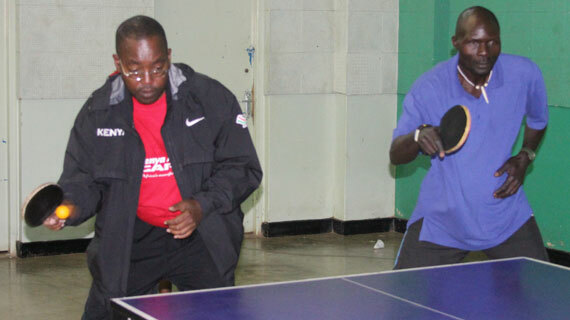 The newly elected Kenya Table Tennis Association (KTTA) will host a regional tournament in Nairobi scheduled for February 25th-March 1st at Parklands Sports Club. KTTA has sent invites to players and teams from the neighboring Uganda and Tanzania to battle it out with Kenyans in the Parklands Open championships. The championships set to feature men’s and women’s singles, juniors, veterans and team events has been sponsored by Sameer’s Daima Milk brand to a tune of Sh100,000. Daima representative Purity Kioko said the sponsors will give branded t-shirts for playing to all the registered players together with water and dairy products for their refreshments in the tournament on top of the cash sponsorship. The registration fee is Sh500 per individual player and sh2,500 per team of five players with the deadline pegged for February 24th before the draw being conducted at 4pm. The immediate former KTTA chairperson Jane Pinto who is now the association’s patron said electioneering was over and it’s now time to work adding that the World Table Tennis Federation (WTF) president Adam Sharara has congratulated the new office and wished them well. KTTA chairman Andrew Mudibo said the association has partnered with Parklands Sports Club (PSC) to provide the facility since given that they do not have playing facilities. “Parklands Sports Club is member of KTTA Nairobi branch and therefore got interested in hosting the championship in the city as a way of partnering in developing the sport in the country,” said PSC table tennis convenor Engineer Anees Siddique.